Have you ever answered someone’s CQ and you know they must have heard you, but they don’t reply? It may be that you are just a little off frequency. It is important that you return the call on their frequency or they may never hear you due to their narrow CW filter. A zero beat indicator may help you. Some people also are tone deaf and have problems in this regard, or their transceiver offset may not be what they think it is and do not get within the narrow passband of the other station. 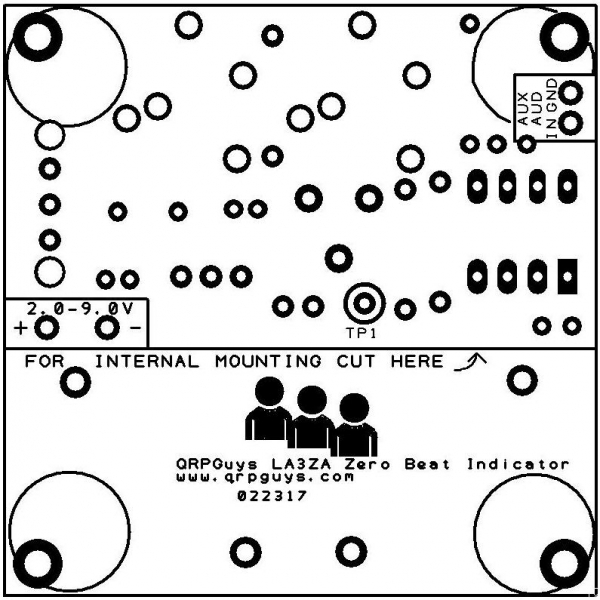 The QRPGuys LA3ZA Zero Beat Indicator gives you a visual indication when you are tuned to the callers frequency, based on the tone of the received signal you hear on your transceiver. The theory is simple. The device takes into account the amount of built-in offset your transceiver has, usually around 300-800Hz, and illuminates an led when it detects that specific tone you hear when you are tuned to transmit on the callers specific frequency. 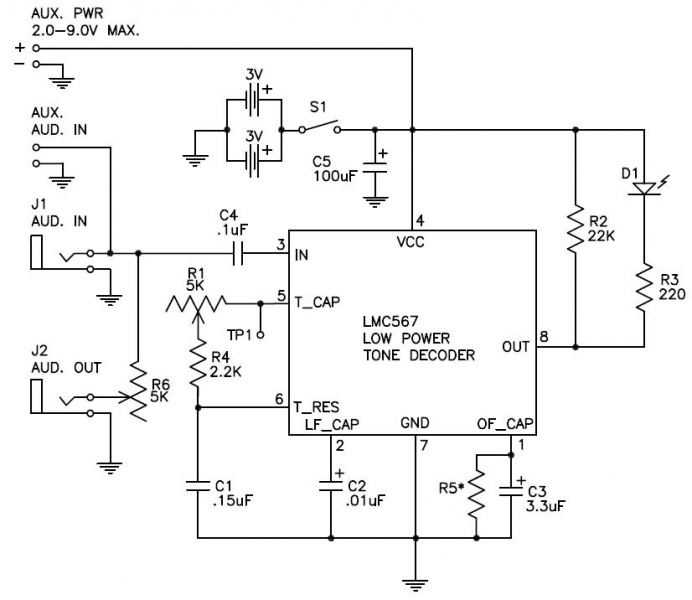 It incorporates a CMOS LMC567 Tone Decoder IC that compares the audio tone you are receiving to a calibrated tone you determine during the setup, then illuminates an LED when that frequency is met. 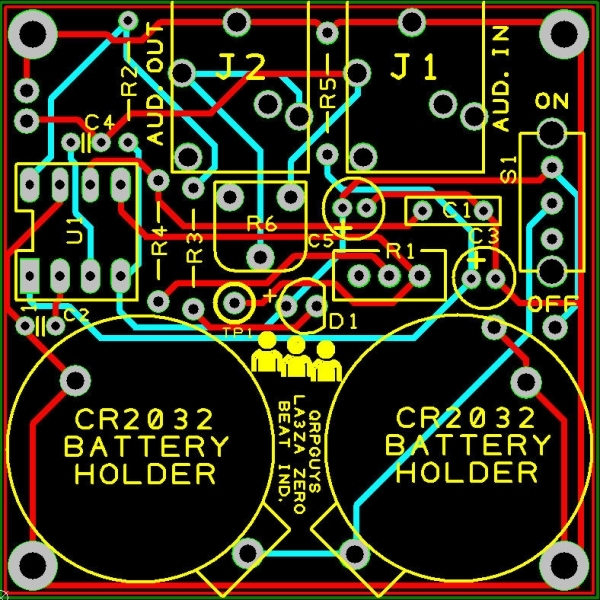 The board can be used outboard with the 3.5mm audio jack with it’s self-contained battery supply or mounted inside in a smaller configuration, and run from any 2.0V – 9.0V max. 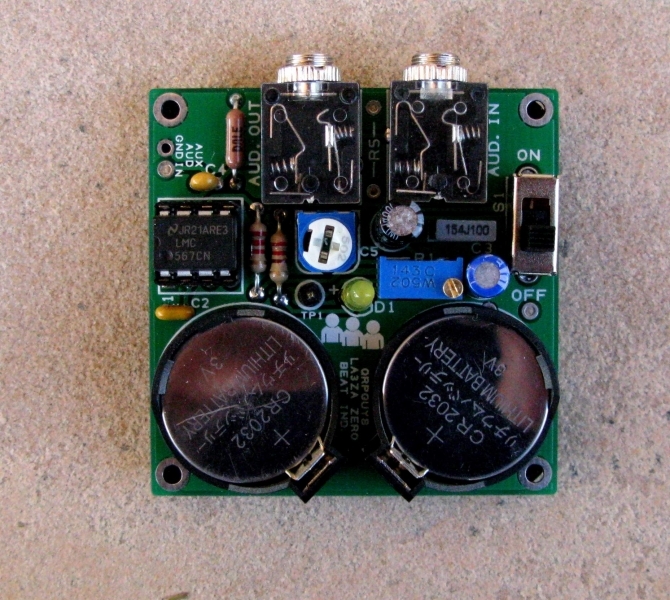 source from inside the transceiver using the auxiliary audio input. 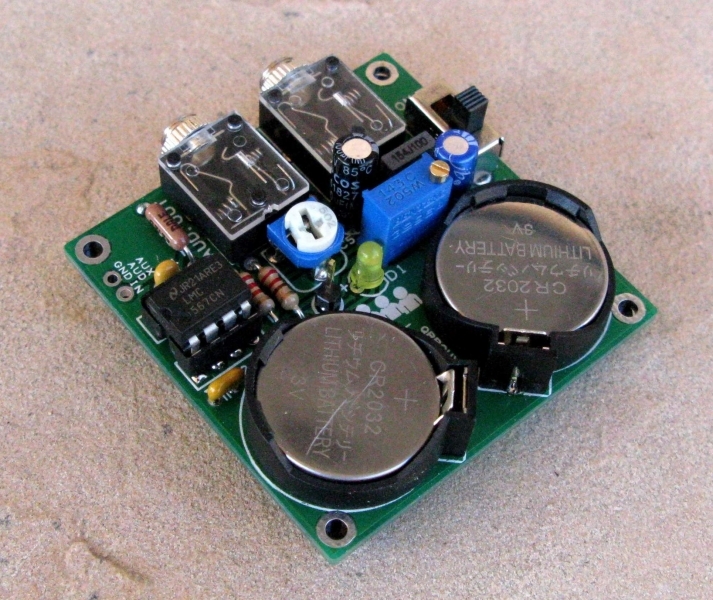 It is a low power device and uses less than 1mA to power the circuitry. The device will detect and respond to a tone of ~300-1000Hz. A web search will show these devices have been around for a number of years and Sverre, LA3ZA, upgraded an older TTL design to CMOS technology and has given us permission to provide it as a kit. The outboard version measures less than 2″ sq. 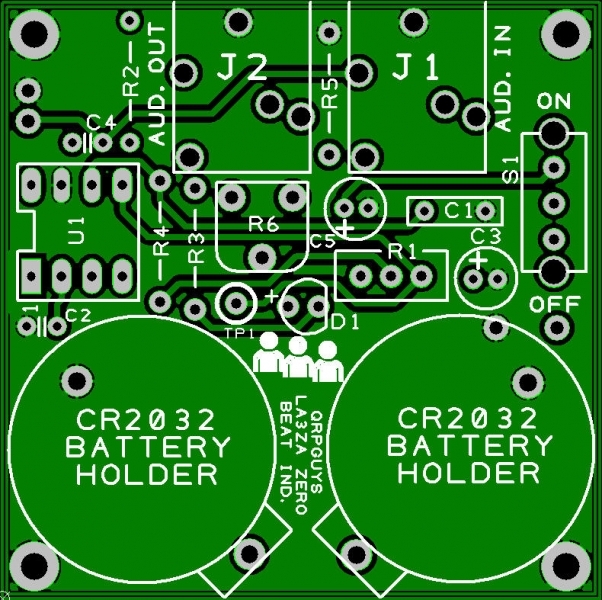 and can be converted to an even smaller profile for mounting inside your transceiver. See the manual for details. It is a through hole component kit. On a difficulty scale of 1 to 5, 5 being the most difficult, this is rated at 2.